The Deauville CPEDI*** : French exceptionalism ! 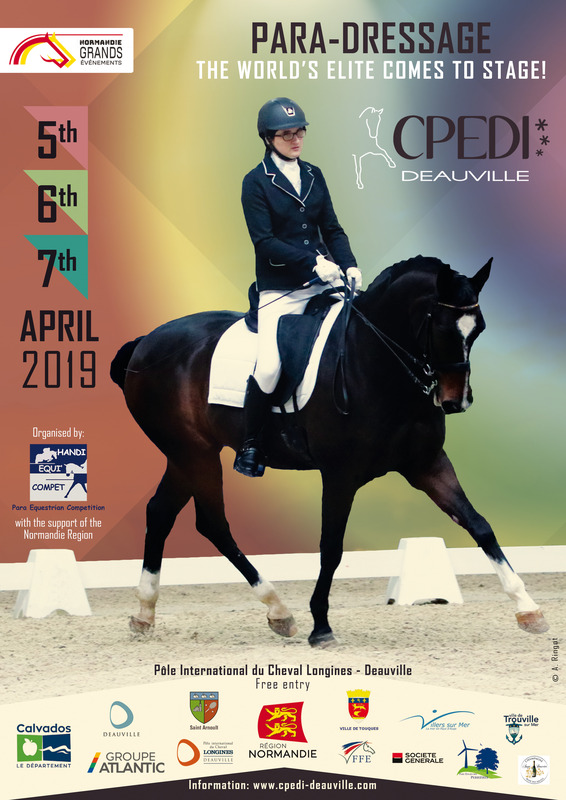 The only International Para-Equestrian Dressage Competition (CPEDI) to be held in France, the Deauville CPEDI*** returns to the Pôle International du Cheval Longines - Deauville from the 5th to the 7th of April, for the 9th time. With the desire to further this para-sport, which is included in both the Paralympics and the World Equestrian Games, Handi Equi’ Compet opens it’s doors to primary school pupils from neighbouring towns each year: St Arnoult and Deauville, demonstrating to the young that it’s possible to achieve excellence despite challenges faced in life. For the 1st time a conference is being held at the same time as the CPEDI – a debate on equine assisted therapy : a practice that uses the horse to help vulnerable persons (physical or mental disorders, the elderly, children in difficult circumstances...). Topics treating the different facets of this therapy will also tackled during the evening organised on Friday the 5th of April. Deauville CPEDI*** : The British set the rhythm! 7 editions, 7 British victories! The Deauville CPEDI*** : fast approaching ! Full victory for Sophie Wells ! ! Great-Britain takes the lead at Deauville ! ANOTHER TITLE FOR GREAT-BRITAIN !